Delivery companies have finally realized the importance of rolling before learning to fly. While autonomous quadcopter and other airborne drones have been in vogue over the past few years, autonomous ground-based vehicles are slowly eking out their space in the delivery market. 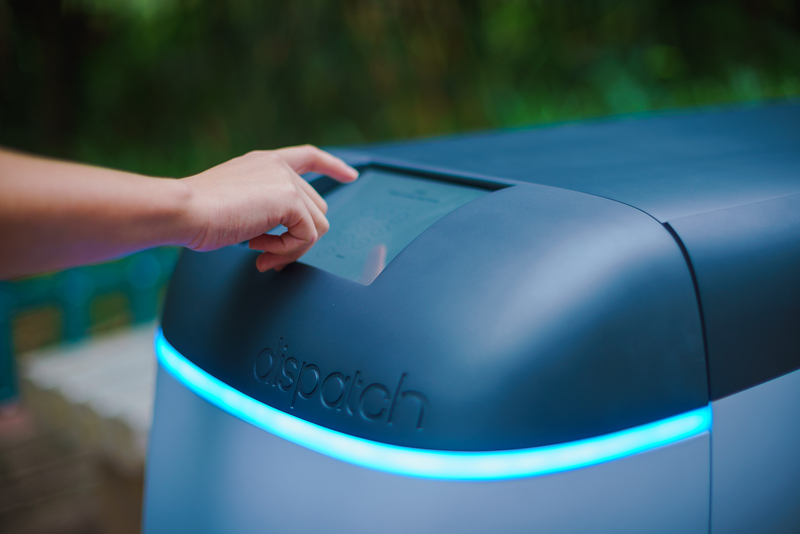 Dispatch, founded by a team of MIT and University of Pennsylvania computer vision researchers, is one of several new players in this nascent market. Stav Braun, Sonia Jin, and Uriah Baalke, Dispatch’s cofounders, were behind Floored’s 3D reconstruction algorithms. Now based in South San Francisco, the team is applying similar computer vision and machine learning techniques to their new vehicle, called Carry. Like competitor Starship Technologies, which TechCrunch’s Mike Butcher wrote about last week, Carry will also transport goods like groceries one step further than the FedEx delivery truck. 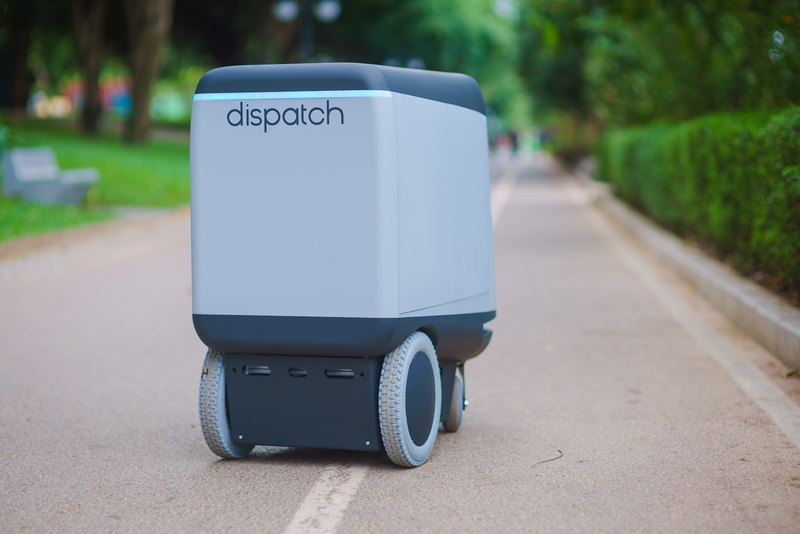 The vehicle’s small size – a yard long and tall, and no wider than a wheelchair – will allow it to operate on and off of sidewalks, delivering packages right at your door. Carry will, in theory, increase delivery efficiency by making it unnecessary for delivery drivers to get out of their vehicles and carry packages to your door. While competitors like Starship Technologies hope to base their vehicle in neighborhoods and resupply with large delivery trucks, Dispatch’s strategy is centered on university campuses. The company will start deliveries at college campuses in California early next year, and hopes to scale into other private locales. Deploying on college campuses is an excellent test case for the company, and will allow Dispatch to test their vehicles’ collision avoidance in a highly contested environment. Carry can hold up to 100 pounds of goods, which are accessed by customers via a mobile app. The app also allows for real-time tracking, letting users track items stored in one of four secure compartments. Of course, Dispatch’s vehicle is electric and powered by lithium-ion batteries – a powertrain which has become industry standard in recent years. Similar to competitor Starship Technologies, though, vehicle safety remains a problem. With both standing under 4 feet tall, they are easy for pedestrians and bikers to miss and could prove to be accident-causing obstacles. It’s easy to see bikers at Stanford and Berkeley, already rushing to class, colliding with Carry during their commutes. Success in private areas like gated township and college campuses is quite likely in Dispatch’s future, but it remains to be seen if the vehicle can be successful in a more urban setting. It’s fairly likely that it will face similar problems to those currently faced by autonomous vehicles in urban areas – interacting with humans and human-driven vehicles remains a problem. In that sense, airborne drones have somewhat of an advantage, since the only obstacles they have to avoid are static and easily mapped. Ground-based delivery drones do have a few things going for them that drones don’t, though. Many of the regulatory hurdles they will face will already have been paved over by autonomous cars, and more importantly, there’s no worry about them falling out of the sky in the event of a loss-of-thrust incident. Disclosure: I am a student at Stanford who bikes to class every day.